1. You don’t know what you don’t know. 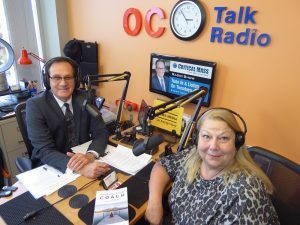 One benefit of the coaching relationship, as described by Melinda Kelly on Critical Mass Radio Show, is that you can get input on various aspects of your life that you may not have otherwise considered. We never question using our GPS to help direct our course, so why are we so reluctant to invest in guidance in other aspects of our lives? Not every coach will resonate with every person, and it is essential to determine whether a coach aligns with your values, but when you find the right match, you can gain more insight than you even knew you were missing. 2. Never stop questioning. Questions give us clarity, power, and comfort. As children, we ask tons of questions. When we get older, however, life becomes all about answers, and we stop inquiring, for various reasons. However, we we need to have the courage to ask ourselves difficult questions, and dive deep into who we really are. Be honest with yourself about your intentions, and what you are truly ready to commit to. with where you are at, and you will be able to move forward more effectively.